This project was a renovation of two storey masonry load-bearing building with composite steel beam /wood joist/concrete topped floor structure. 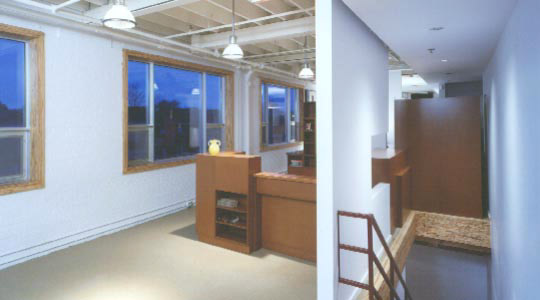 It was functionally an adaptive re-use of an industrial building into multi-tenanted office and studio space. 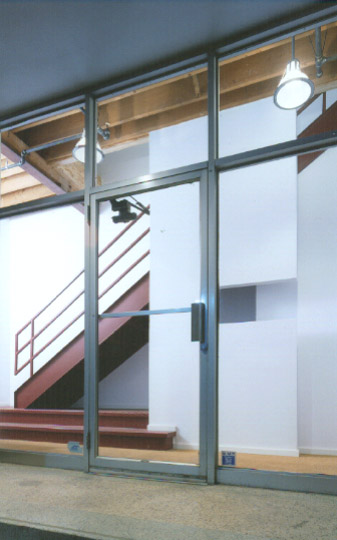 Work included mechanical and electrical infrastructure upgrades, window frames, stair and public foyer. 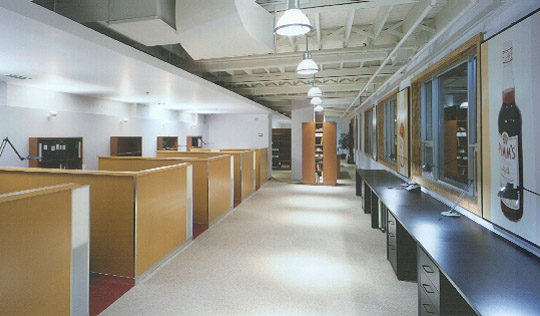 In the tenant fit-up of a 2,000 square foot head office for Structure Corp Contractors, the direct adjacency to a main railway corridor and the linear floor plate (20x100ft.) suggested a “Pullman Coach” approach to the layout and design. 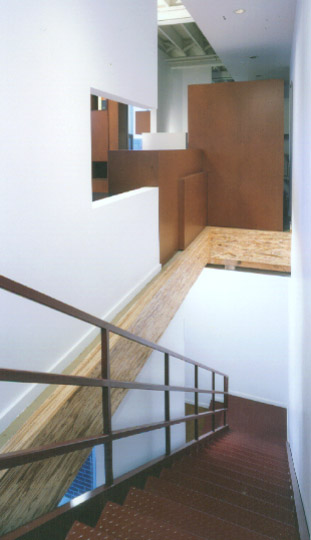 A series of floor to ceiling functional totems in stained MDF, house various client requirements. Gross Floor Area : 3500 s.f.